The 6 Series’ front seatbelts will tighten automatically in the event the vehicle detects an impending crash, improving protection against injury significantly. The A5 doesn’t offer pre-crash pretensioners. The 6 Series offers optional City Collision Mitigation, which use forward mounted sensors to warn the driver of a possible collision ahead. If the driver doesn’t react and the system determines a collision is imminent, it automatically applies the brakes at full-force in order to reduce the force of the crash or avoid it altogether. The A5 doesn't offer collision warning or crash mitigation brakes. A passive infrared night vision system optional on the 6 Series helps the driver to more easily detect people, animals or other objects in front of the vehicle at night. Using an infrared camera to detect heat, the system then displays the image on a monitor in the dashboard. The A5 doesn’t offer a night vision system. The 6 Series’ optional lane departure warning system alerts a temporarily inattentive driver when the vehicle begins to leave its lane. The A5 doesn’t offer a lane departure warning system. The 6 Series offers an optional Side and Top View Cameras to allow the driver to see objects all around the vehicle on a screen. The A5 only offers a rear monitor and rear parking sensors that beep or flash a light. That doesn’t help with obstacles to the front or sides. The 6 Series has standard BMW Assist, which uses a global positioning satellite (GPS) receiver and a cellular system to remotely unlock your doors if you lock your keys in, help track down your vehicle if it’s stolen or send emergency personnel to the scene if any airbags deploy. The A5 doesn’t offer a GPS response system, only a navigation computer with no live response for emergencies, so if you’re involved in an accident and you’re incapacitated help may not come as quickly. Both the 6 Series and the A5 have standard driver and passenger frontal airbags, front side-impact airbags, driver and front passenger knee airbags, side-impact head airbags, front seatbelt pretensioners, plastic fuel tanks, four-wheel antilock brakes, traction control, electronic stability systems to prevent skidding and available all-wheel drive. BMW pays for scheduled maintenance on the 6 Series for 4 years and 50,000 miles. BMW will pay for oil changes, lubrication and any other required maintenance. Audi only pays for the first scheduled maintenance visit on the A5. 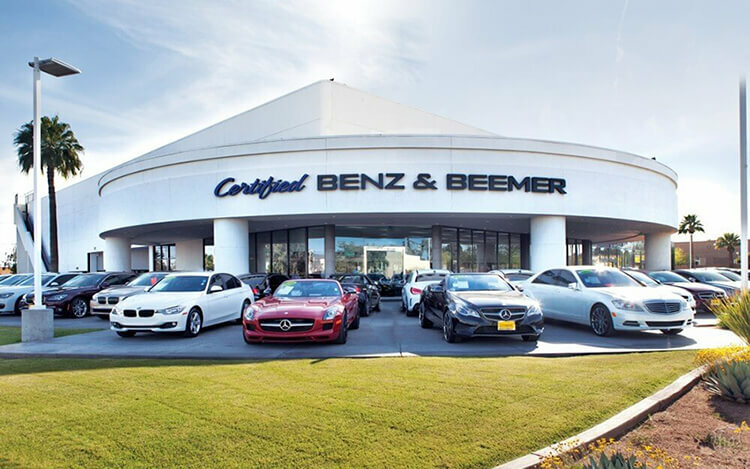 There are over 33 percent more BMW dealers than there are Audi dealers, which makes it easier should you ever need service under the 6 Series’ warranty. To reliably power the ignition and other systems and to recharge the battery, the 6 Series has a standard 210-amp alternator. The A5’s 150-amp alternator isn’t as powerful. J.D. Power and Associates rated the 6 Series third among midsize premium sporty cars in their 2013 Initial Quality Study. The A5 isn’t in the top three in its category. J.D. Power and Associates’ 2014 Initial Quality Study of new car owners surveyed provide the statistics that show that BMW vehicles are better in initial quality than Audi vehicles. J.D. Power ranks BMW 8th in initial quality, above the industry average. With 3 more problems per 100 vehicles, Audi is ranked 11th. J.D. 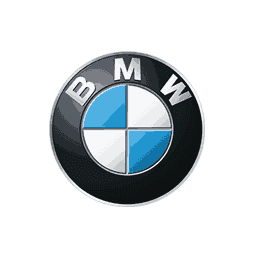 Power and Associates’ 2014 survey of the owners of three-year-old vehicles provides the long-term dependability statistics that show that BMW vehicles are more reliable than Audi vehicles. J.D. Power ranks BMW 11th in reliability. With 21 more problems per 100 vehicles, Audi is ranked 19th. The 640i’s standard 3.0 turbo 6 cyl. produces 95 more horsepower (315 vs. 220) and 72 lbs.-ft. more torque (330 vs. 258) than the A5’s 2.0 turbo 4 cyl. The 650i’s standard 4.4 turbo V8 produces 225 more horsepower (445 vs. 220) and 222 lbs.-ft. more torque (480 vs. 258) than the A5’s 2.0 turbo 4 cyl. The M6’s standard 4.4 turbo V8 produces 340 more horsepower (560 vs. 220) and 244 lbs.-ft. more torque (502 vs. 258) than the A5’s 2.0 turbo 4 cyl. The M6 Competition Package’s standard 4.4 turbo V8 produces 355 more horsepower (575 vs. 220) and 242 lbs.-ft. more torque (500 vs. 258) than the A5’s 2.0 turbo 4 cyl. Regenerative brakes improve the 6 Series’ fuel efficiency by converting inertia back into energy instead of wasting it. The A5 doesn’t offer a regenerative braking system. In heavy traffic or at stoplights the 6 Series’ engine automatically turns off when the vehicle is stopped, saving fuel and reducing pollution. The engine is automatically restarted when the driver gets ready to move again. (Start/Stop isn’t accounted in present EPA fuel mileage tests.) The A5 doesn’t offer an automatic engine start/stop system. The 6 Series’ standard fuel tank has 2.4 gallons more fuel capacity than the A5 (18.5 vs. 16.1 gallons), for longer range between fill-ups. The 6 Series M6’s standard fuel tank has 5 gallons more fuel capacity than the A5 (21.1 vs. 16.1 gallons). The 6 Series’ standard front and rear disc brakes are vented to help dissipate heat for shorter stops with less fading. The rear discs on the A5 are solid, not vented. For better traction, the M6’s tires are larger than the largest tires available on the A5 (F:265/40R19 & R:295/35R19 vs. 255/35R19). The 6 Series’ optional 275/30R20 rear tires provide better handling because they have a lower 30 series profile (height to width ratio) that provides a stiffer sidewall than the A5’s optional 35 series tires. For better ride, handling and brake cooling the 6 Series offers optional 20-inch wheels. The A5’s largest wheels are only 19-inches. Changing a flat tire near traffic can be dangerous and inconvenient. The run-flat tires standard on the 6 Series can be driven up to 50 miles without any air pressure, allowing you to drive to a service station for a repair. The A5 doesn’t offer run-flat tires. The 6 Series offers an available active suspension system, which counteracts cornering forces actively, limiting body roll and improving handling and stability. Audi doesn’t offer an active suspension on the A5. The 6 Series has a standard driver-adjustable suspension system. It allows the driver to choose between an extra-supple ride, reducing fatigue on long trips, or a sport setting, which allows maximum control for tricky roads. The A5’s suspension doesn’t offer adjustable shock absorbers. For better handling and stability, the average track (width between the wheels) on the 6 Series is .7 inches wider in the front and 2.5 inches wider in the rear than the track on the A5. The M6 Convertible handles at .94 G’s, while the A5 Cabriolet pulls only .87 G’s of cornering force in a Car and Driver skidpad test. The M6 Convertible executes Motor Trend’s “Figure Eight” maneuver 2.1 seconds quicker than the A5 Cabriolet (24.6 seconds @ .85 average G’s vs. 26.7 seconds @ .68 average G’s). The design of the BMW 6 Series amounts to more than styling. The 6 Series offers aerodynamic coefficients of drag from .3 to .32 Cd (depending on bodystyle and options). That is lower than the A5 (.32 to .34). A more efficient exterior helps the 6 Series go faster and keeps the interior quieter. It also helps the 6 Series get better fuel mileage. The 6 Series Coupe has 3 cubic feet more passenger volume than the A5 Coupe (87 vs. 84). The 6 Series Convertible has 7 cubic feet more passenger volume than the A5 Cabriolet (88 vs. 81). The 6 Series Coupe has 2.4 inches more front headroom, .8 inches more front legroom and 2.6 inches more front shoulder room than the A5 Coupe. The 6 Series Convertible has .3 inches more front headroom, .8 inches more front legroom, 2.6 inches more front shoulder room, .2 inches more rear headroom and 2.8 inches more rear shoulder room than the A5 Cabriolet. The 6 Series Coupe has a larger trunk than the A5 Coupe (13 vs. 12.2 cubic feet). The 6 Series Convertible has a larger trunk with its top down than the A5 Cabriolet (10.6 vs. 10.2 cubic feet). Unlike the driver-only memory seat and mirrors optional at extra cost in the A5, the 6 Series offers an optional passenger memory, so that when drivers switch, the memory setting adjusts the driver’s seat, steering wheel position, outside mirror angle, climate settings and radio stations and the front passenger seat also adjusts to the new passenger’s preset preferences. The 6 Series’ standard easy entry system raises the steering wheel, making it easier for the driver to get in and out. The A5 doesn’t offer an easy entry system. The 6 Series offers an optional heads-up display which projects speed and other key instrumentation readouts onto the windshield, allowing drivers to view information without diverting their eyes from the road. The A5 doesn’t offer a heads-up display. If the windows are left down on the 6 Series the driver can raise them all using the key in the outside lock cylinder. On a hot day the driver can lower the windows from outside the vehicle using the key in the outside lock cylinder or the keyless remote. The driver of the A5 can’t use the remote to operate the windows. In case of a sudden change of weather, the 6 Series has a standard remote convertible top that can be raised, from a distance to protect the interior of the vehicle from damage. The A5 doesn’t offer a remote top, so the driver will have to run to the car, get in, turn the ignition on and raise the top to prevent the interior from being damaged. Comfort Access standard on the 6 Series allows you to unlock the driver’s door, trunk and start the engine all without removing a key from pocket or purse. This eliminates searching for keys before loading groceries, getting in the vehicle in bad weather or making a hurried start to your trip. The Audi A5’s available Audi Advanced Key doesn’t unlock the trunk. In poor weather, headlights can lose their effectiveness as grime builds up on their lenses. This can reduce visibility without the driver realizing. The 6 Series has standard headlight washers to keep headlight output high. The A5 doesn’t offer headlight washers. While driving with high beams on, sensitive light sensors available for the 6 Series detect other vehicles which could be blinded and automatically switch to low beams. The A5 doesn’t offer automatic dimming high beams. When the 6 Series is put in reverse, the passenger rearview mirror tilts from its original position. This gives the driver a better view of the curb during parallel parking maneuvers. Shifting out of reverse puts the mirror into its original position. The A5’s mirror doesn’t automatically adjust for backing. The 6 Series’ optional air conditioned front seats cool the driver and front passenger and help take the sting out of hot leather in Summer. The A5 doesn’t offer air conditioned front seats. On extremely cold Winter days, the 6 Series’ optional heated steering wheel provides comfort, allowing the driver to steer safely and comfortably before the car heater warms up. The A5 doesn’t offer a heated steering wheel. Standard BMW Apps for the 6 Series allows the driver and passengers access to select programs on their smartphones, including reading text messages aloud, playing internet radio stations, tagging songs to buy them later, following twitter accounts and other connected activities without taking their eyes off the road or their hands from the wheel. The A5 doesn’t offer factory integrated smartphone program access. The 6 Series (except xDrive)’s optional Parking Assistant can parallel park or back into a parking spot by itself, with the driver only controlling speed with the brake pedal. The A5 doesn’t offer an automated parking system.